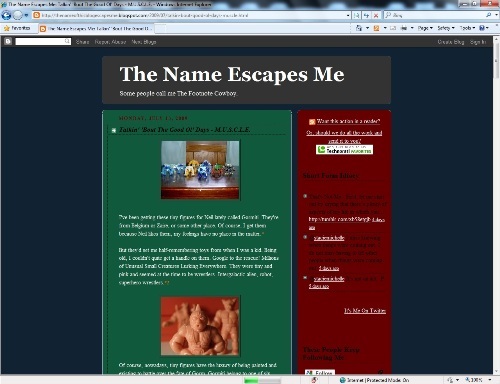 July 13, 2009 was the original posting date of this blog entry. 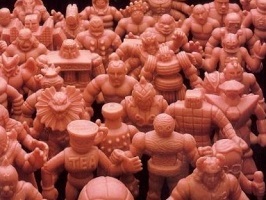 Many blog posts fail to provide any useful or new M.U.S.C.L.E. information. However, they often provide a nostalgic perspective without the contamination of modern collector frustrations. This example provided a message that is, likely, very relatable to collectors. Sadly, the narrative attempted to be overly clever. Six footnotes (the most interesting parts!) over the course of five short paragraphs made reading the entry awkward. Readers may even miss the footnotes – missing the most entertaining portion. The design of the site is basic, which is always a plus. However the colors of the backgrounds and text are often at odds with each other, making the site difficult to read in places. Plus the overly long column on the right side of the page negatively influences the readers’ impression of the author. He seems unable and/or unwilling to filter archives, links, and RSS feeds. It ends up making his blog posts seem incredibly short, when they are of a perfectly acceptable length. One of the most exciting parts on discovering M.U.S.C.L.E. 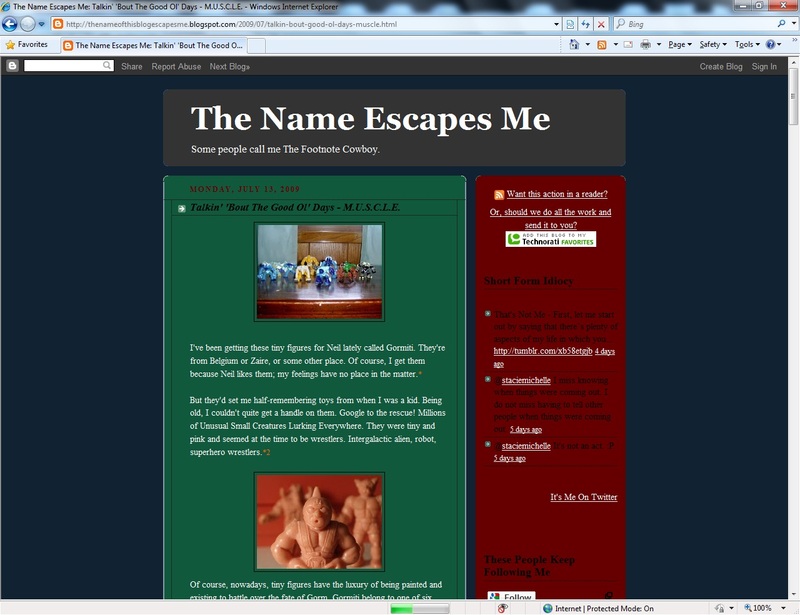 blog entries is the opportunity to view unique M.U.S.C.L.E. pictures. They often contain figures that are mundane to collectors, but completely unique in their presentation of the figures. 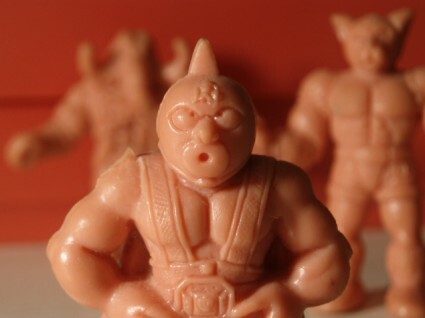 This blog’s single M.U.S.C.L.E. pictures focuses on #1, with #163 and #124 lurking in the background. While far from being a bad picture, it seems hauntingly familiar. There were plenty of negatives to this blog entry, but the saving grace is getting a peek into another person’s experience and perspective on M.U.S.C.L.E. toys. He’d likely be very disappointed to learn that his beloved 80’s toy already received its chance at revival. This entry was posted on Wednesday, April 14th, 2010 and is filed under UofM News. You can follow any responses to this entry through RSS 2.0. You can skip to the end and leave a response. Pinging is currently not allowed.